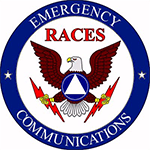 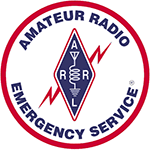 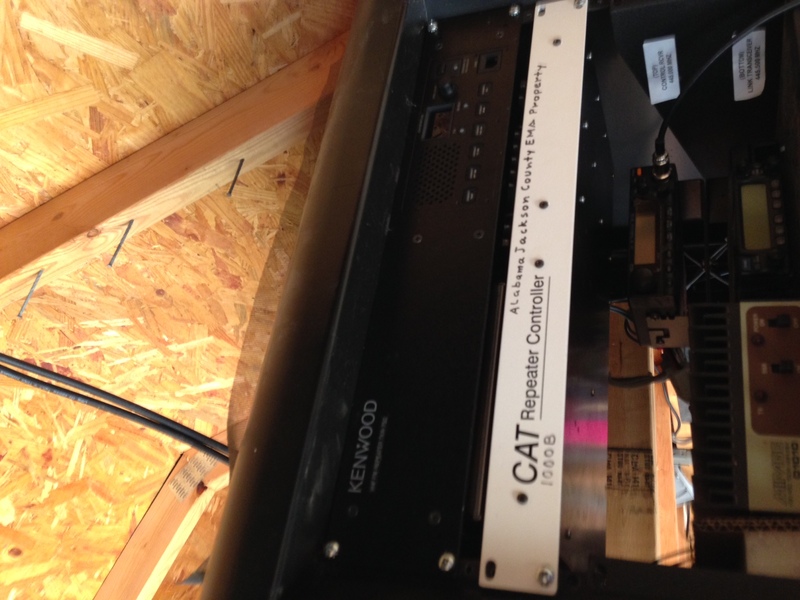 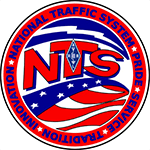 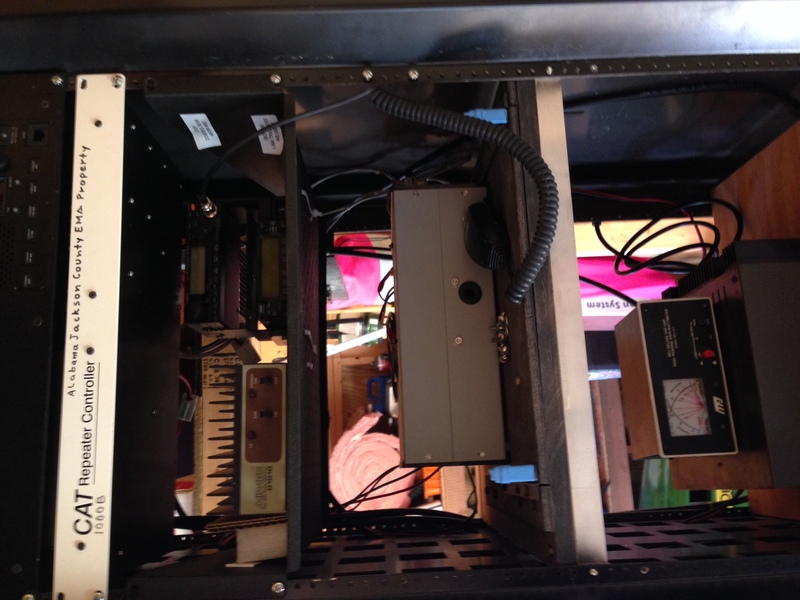 For the past year my local organization, Jackson County ARES/RACES, has been struggling to find a home for our SKYWARN linked repeater. 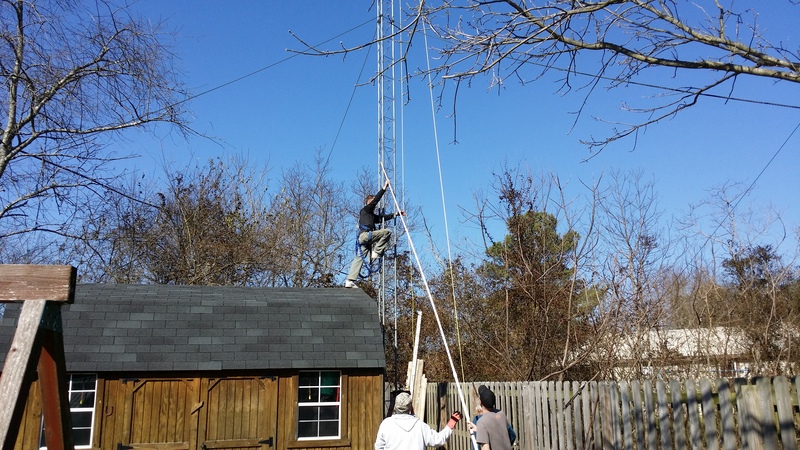 Earlier in 2015 the tower owners kicked us out of the shack and off the tower unexpectedly. 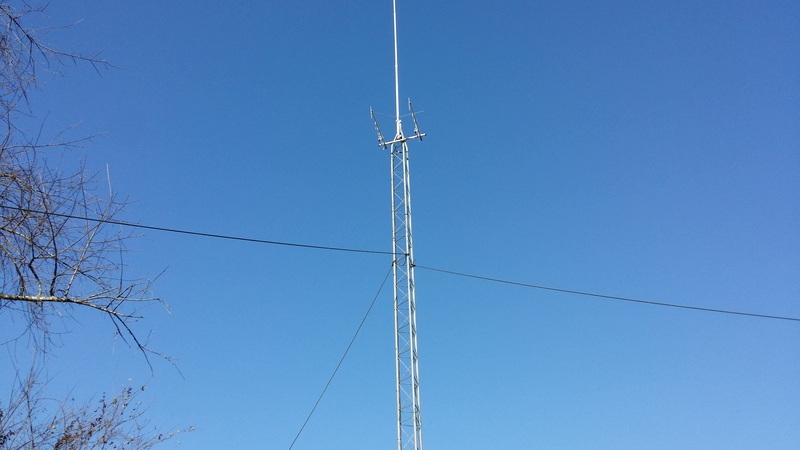 Since then one of our members has graciously been hosting this repeater on his tower however his location cut the coverage of this repeater down tremendously. 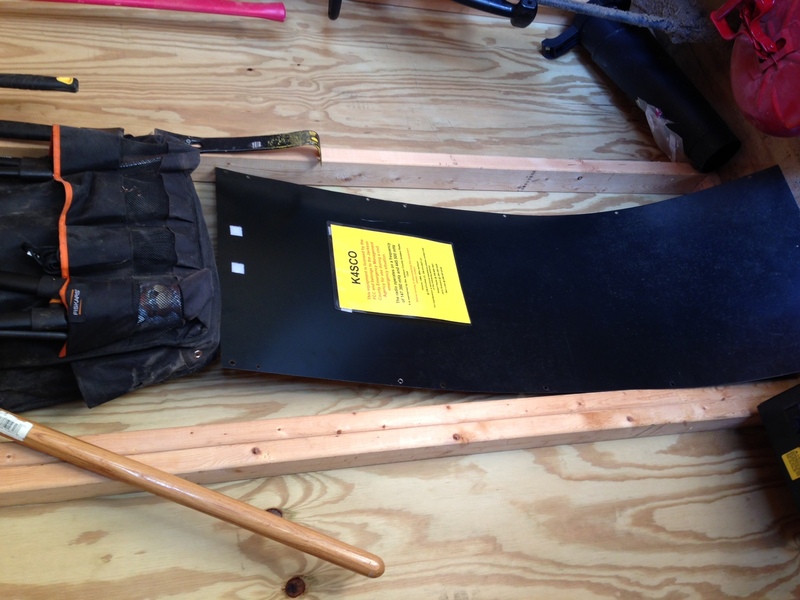 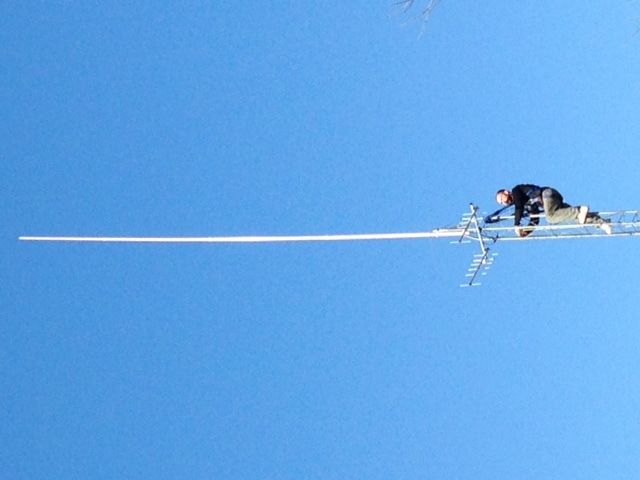 It was working but not very usable by most of the county. 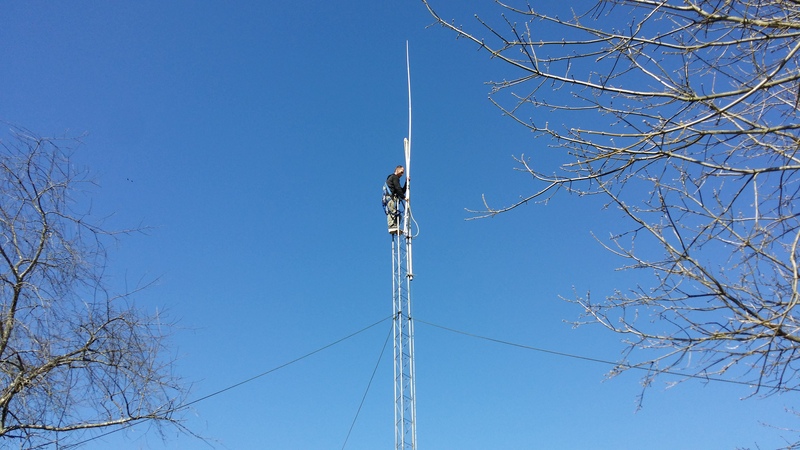 Recently another member stepped in and offered his property for a year while we continue work to find and purchase a suitable location for a large tower installation. 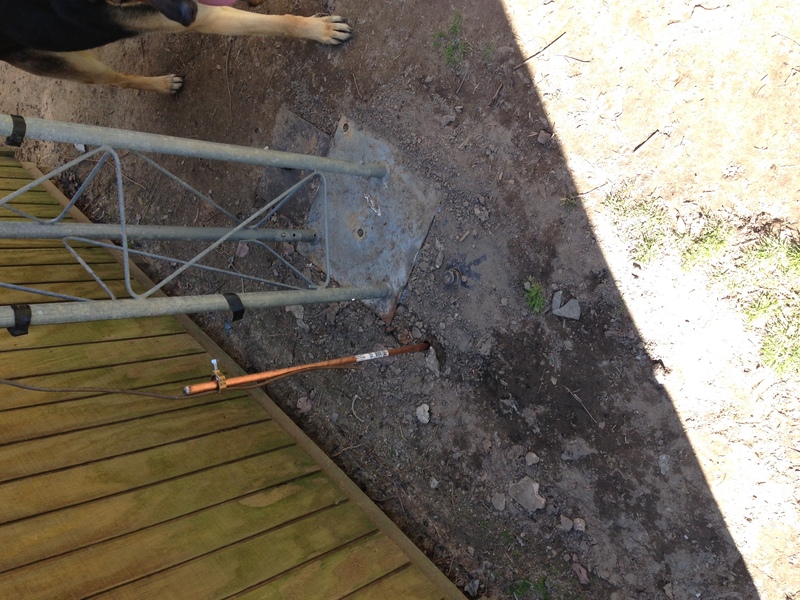 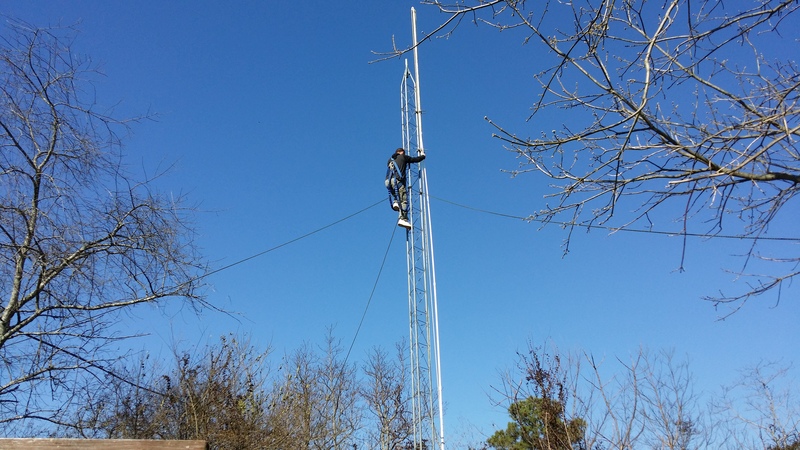 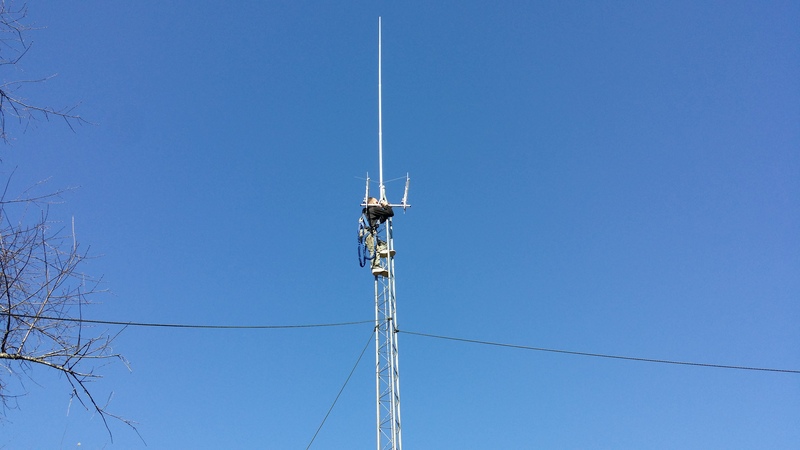 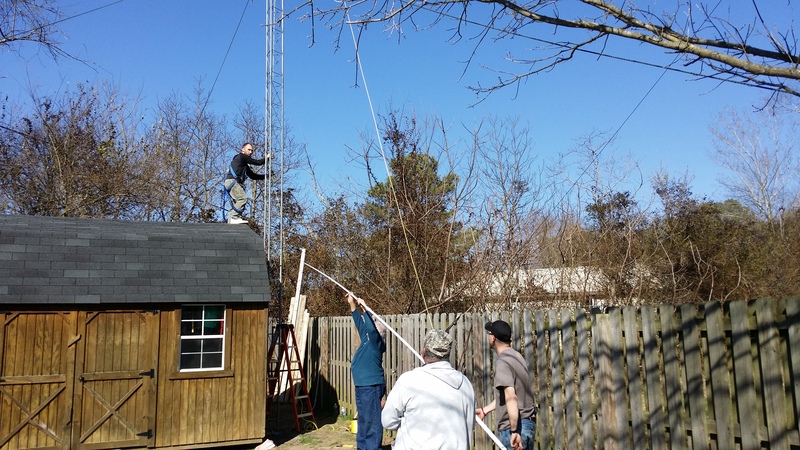 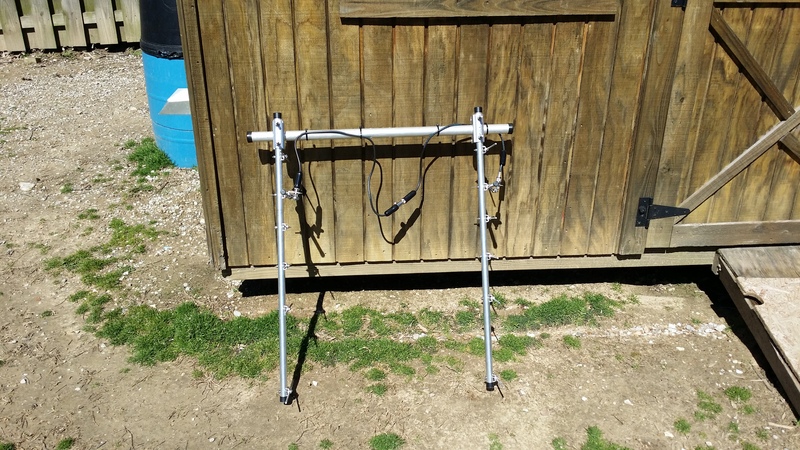 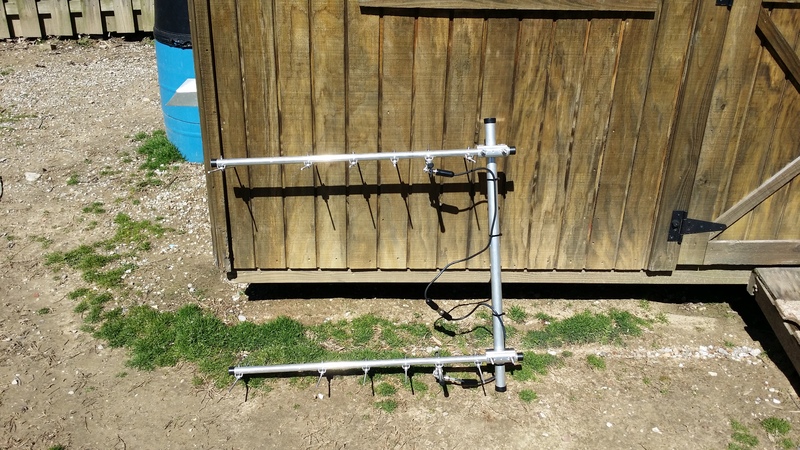 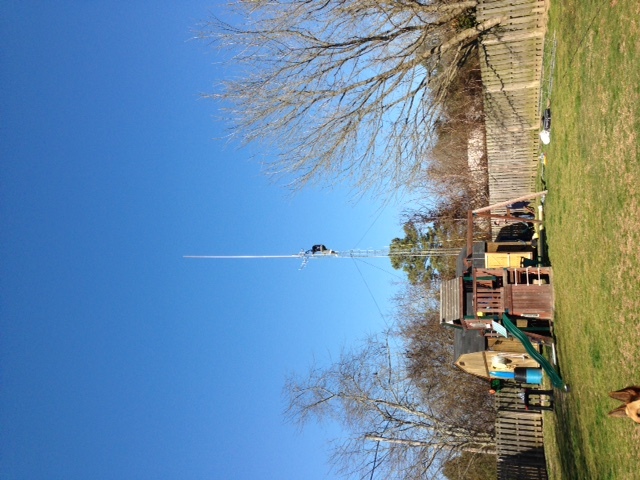 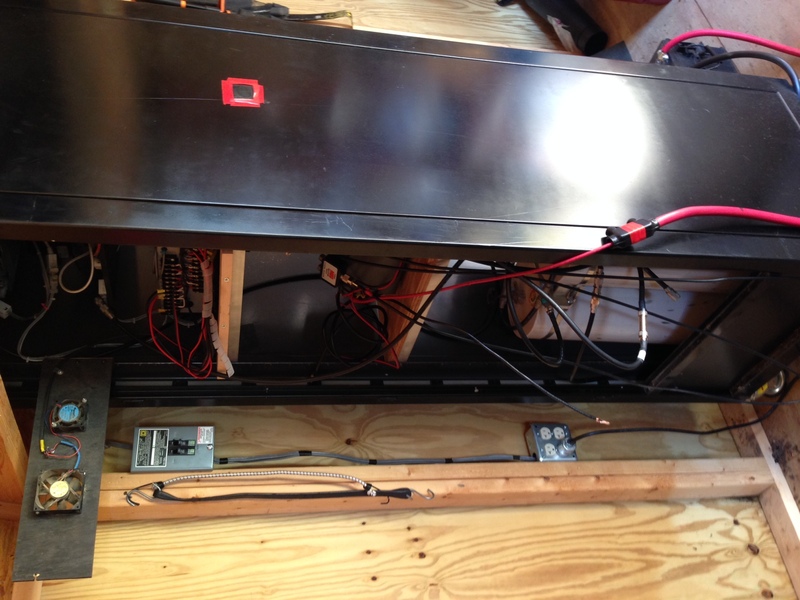 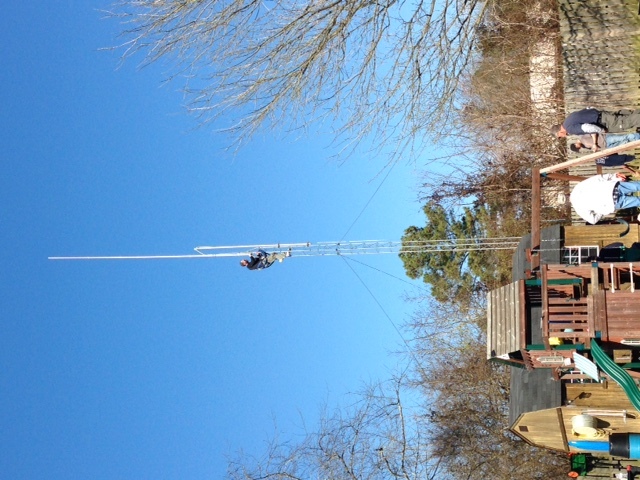 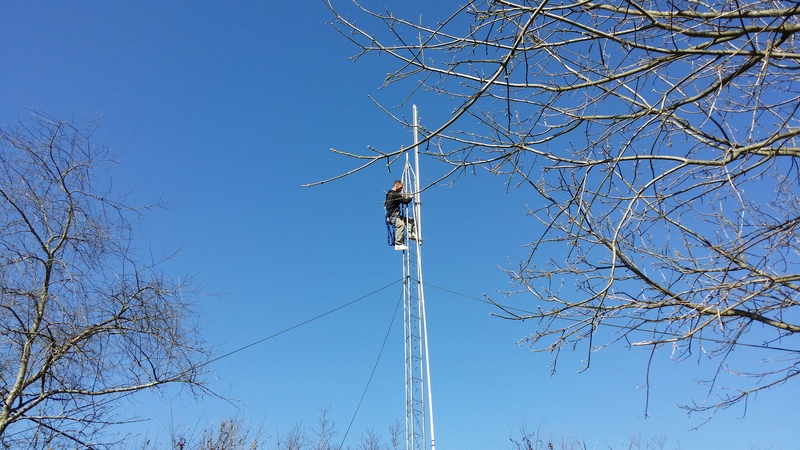 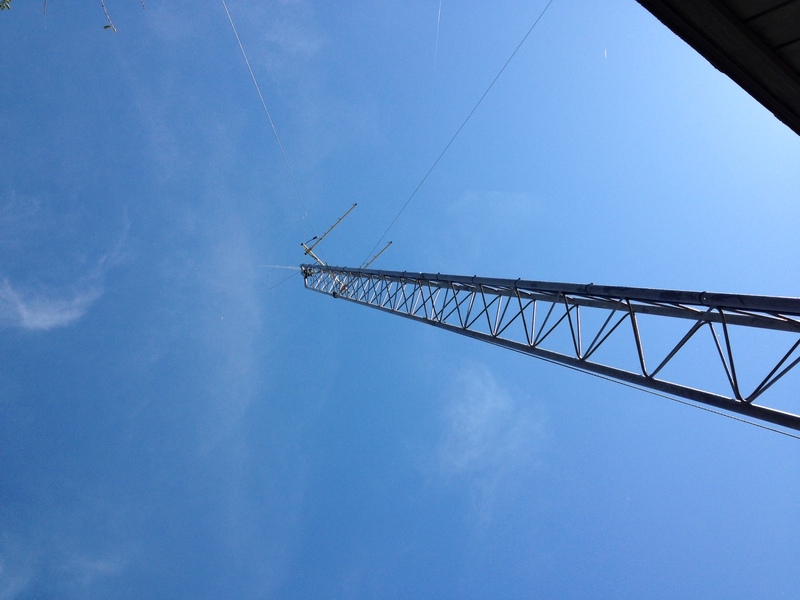 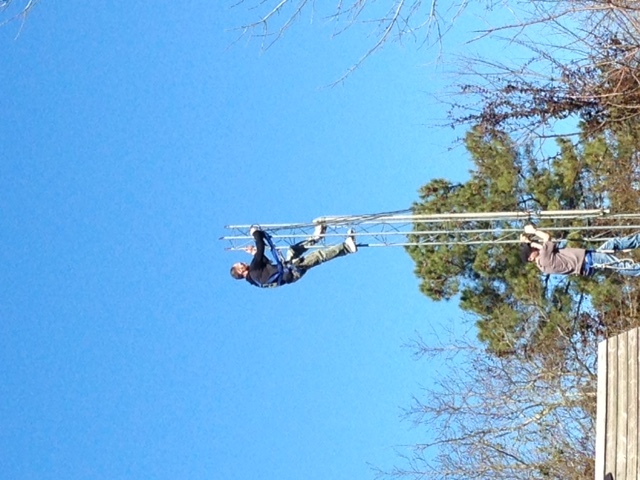 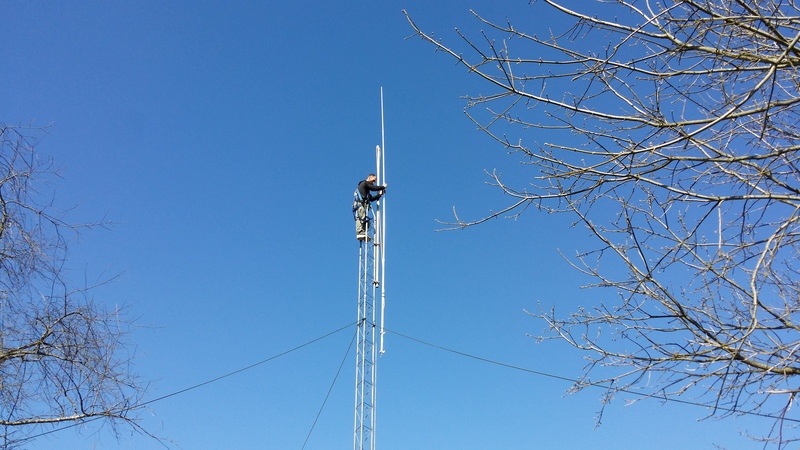 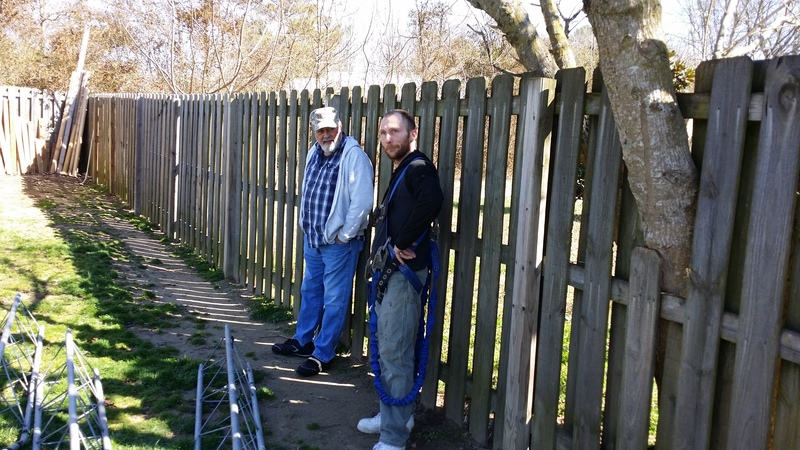 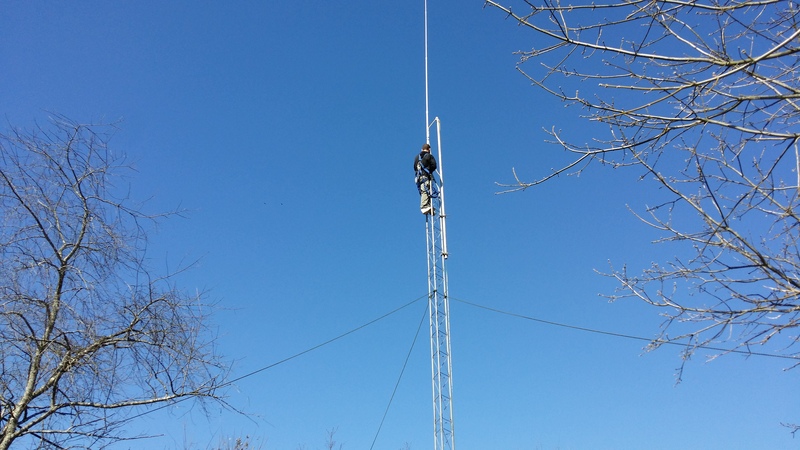 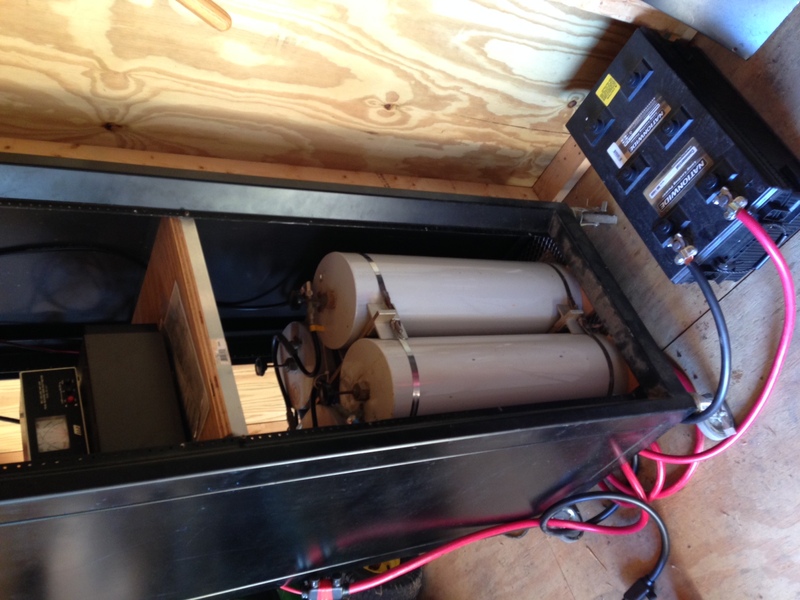 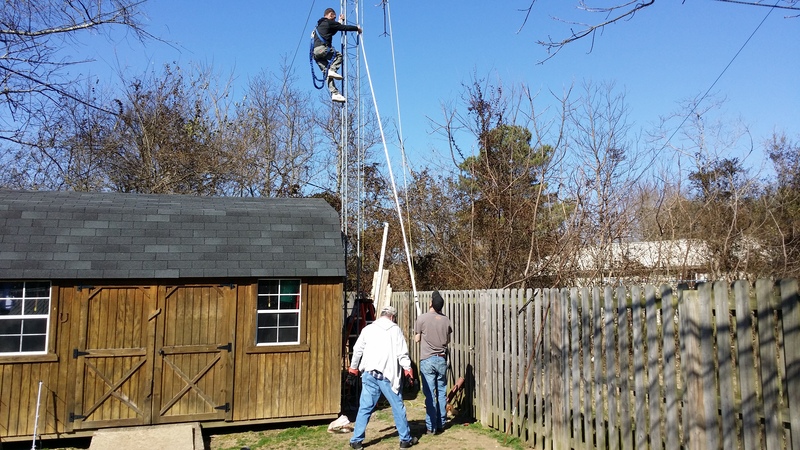 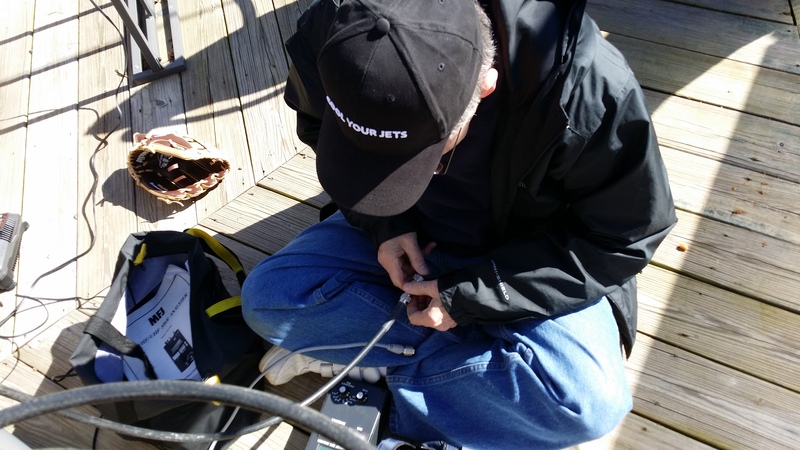 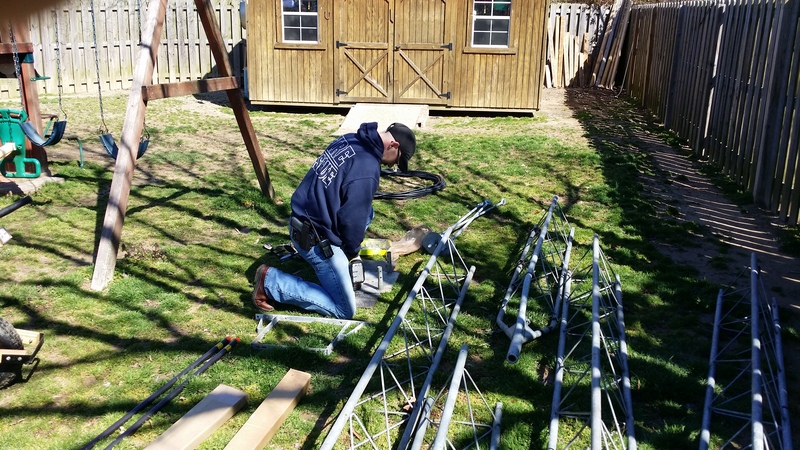 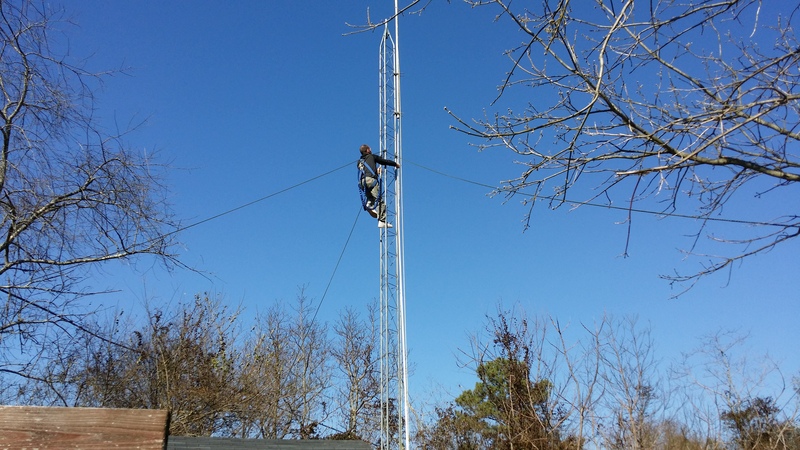 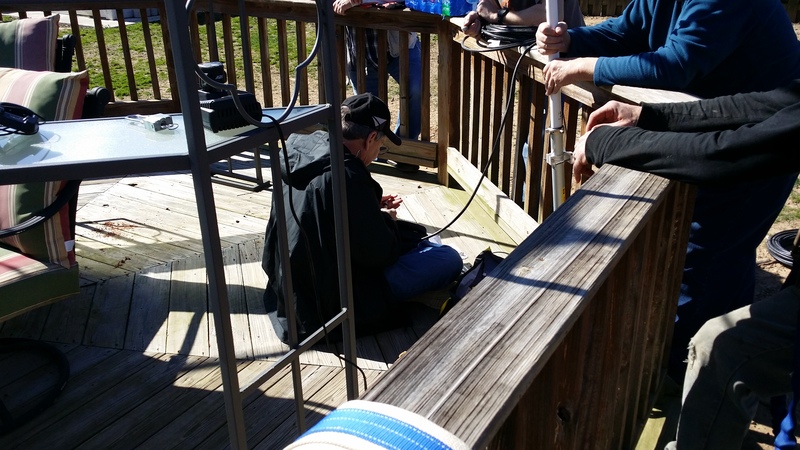 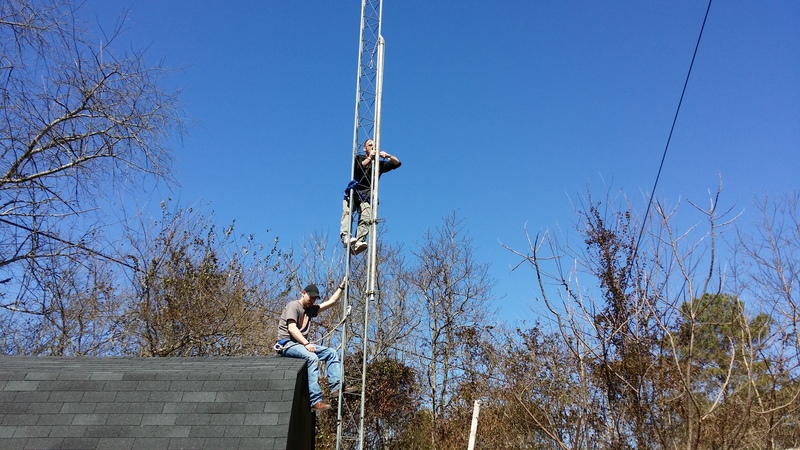 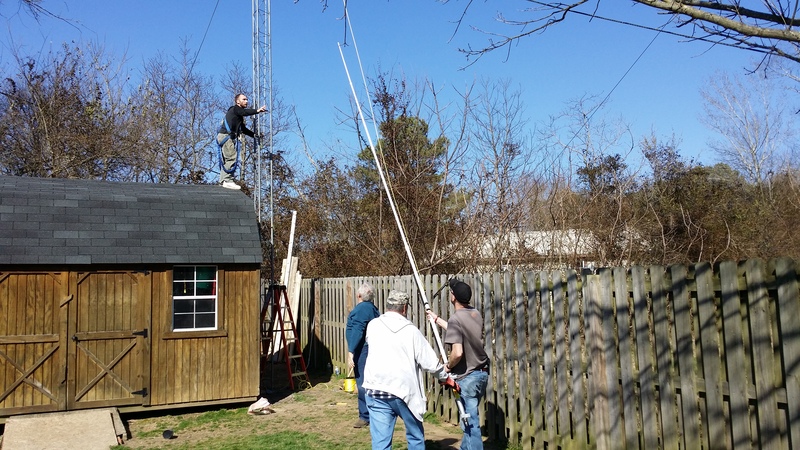 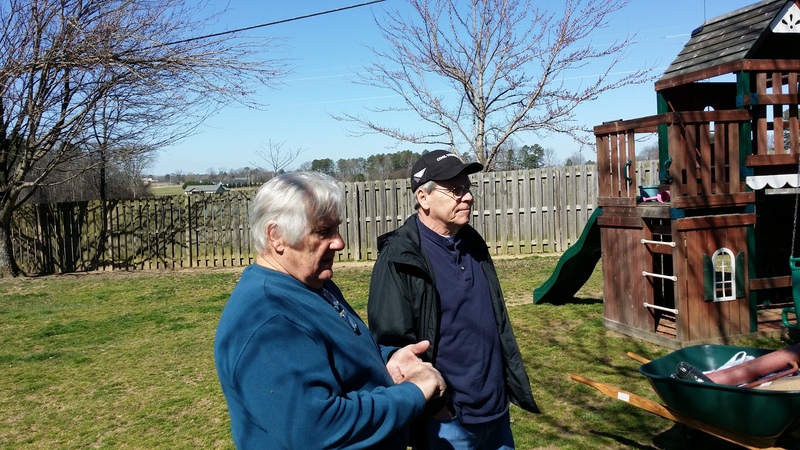 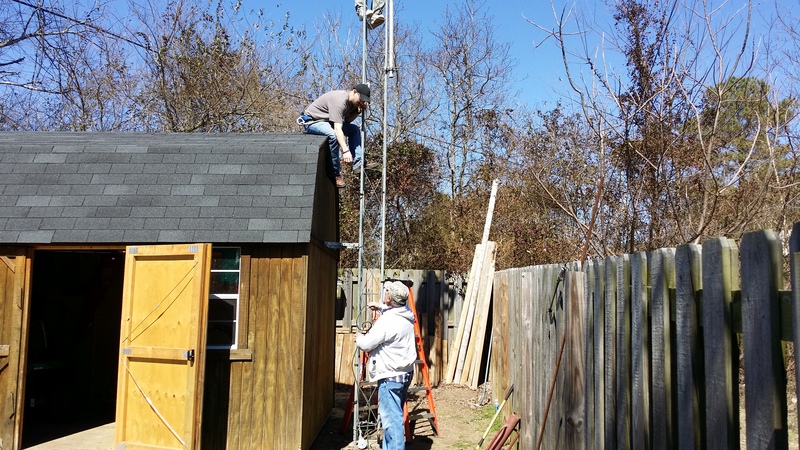 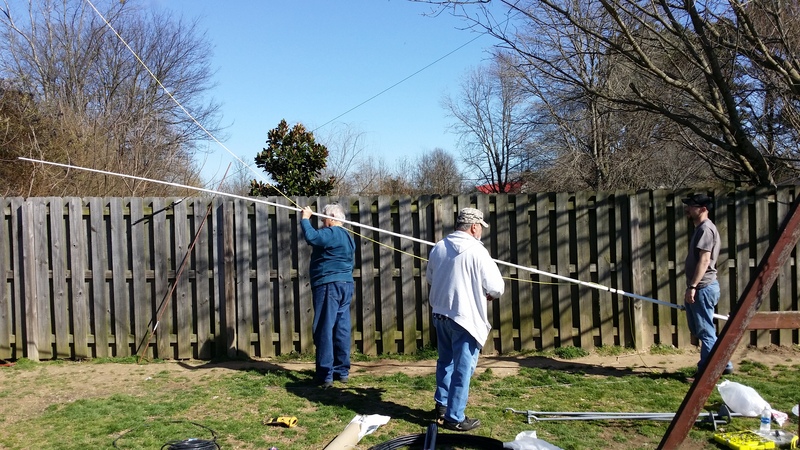 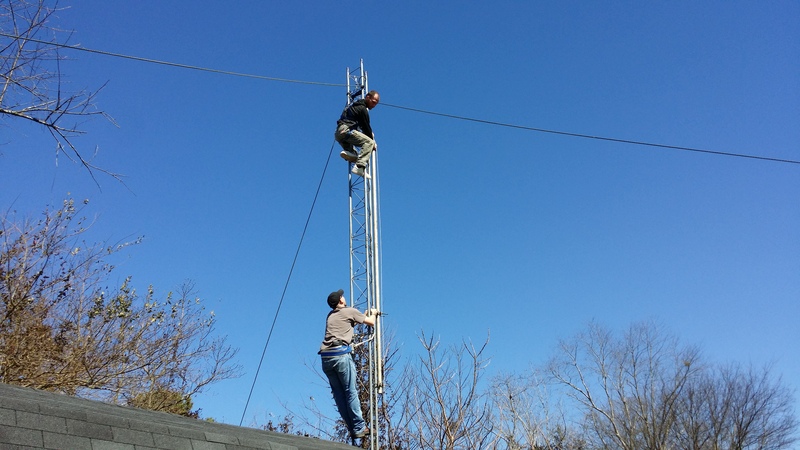 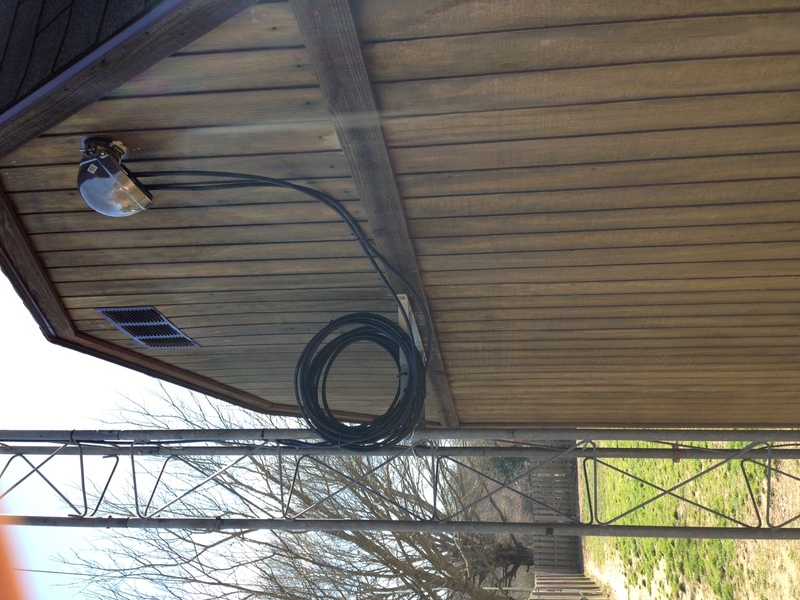 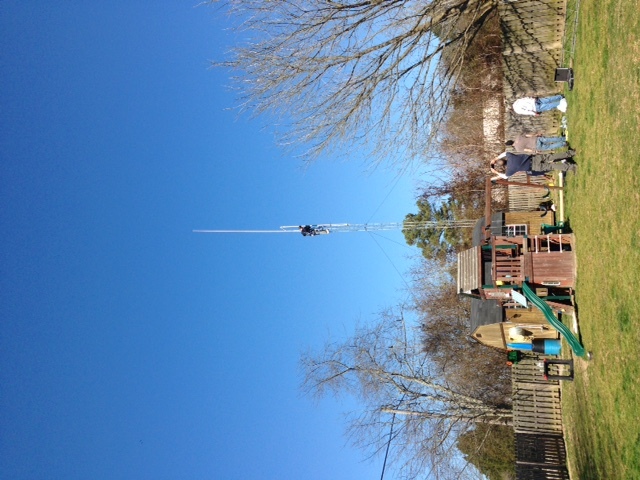 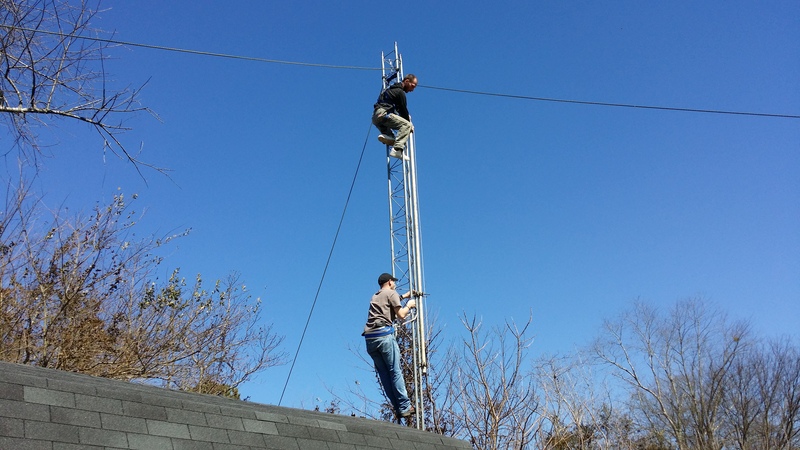 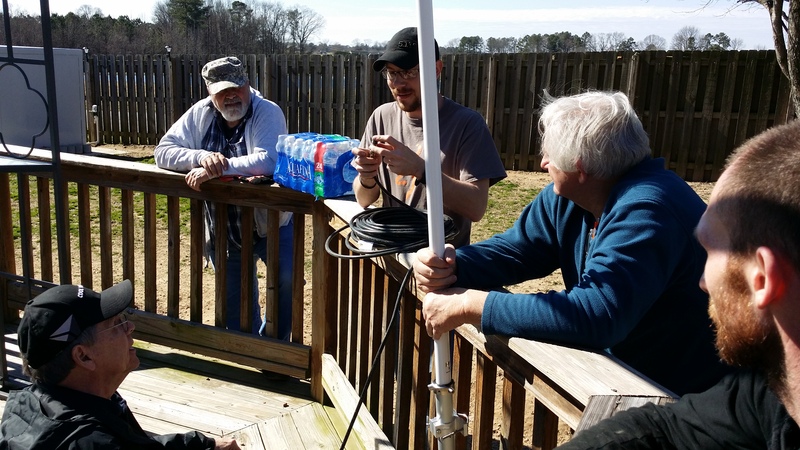 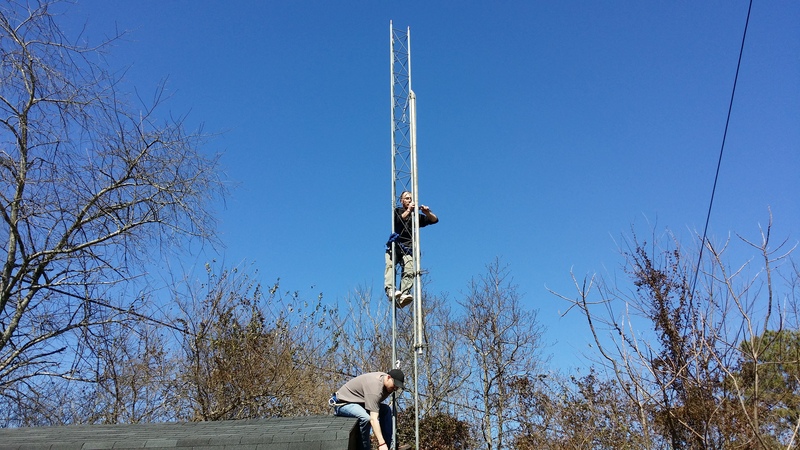 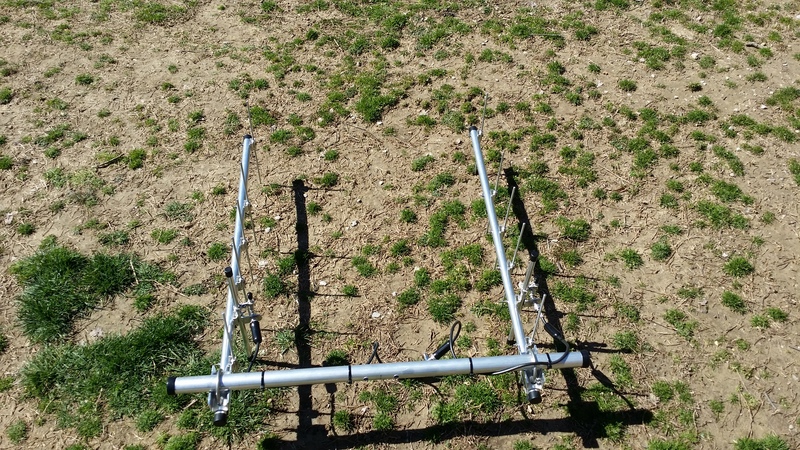 The images below are from two days of erecting a small tower, installing the omni VHF antenna, a stacked UHF yagi for linking with the other SKYWARN repeaters across North Alabama and Southern Middle Tennessee, and the repeater equipment itself. 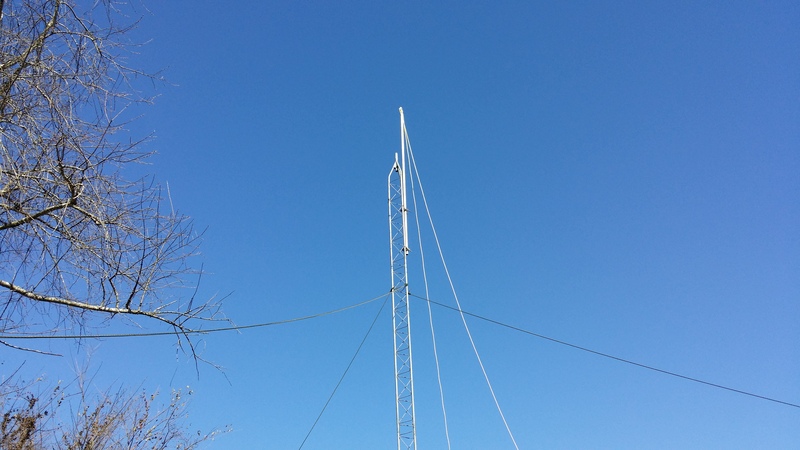 Nice installation, but I would suggest you think about wrapping something around the bottom 5-6 feet of the tower base to prevent the “little ones” from climbing the tower to explore what’s “up there”. 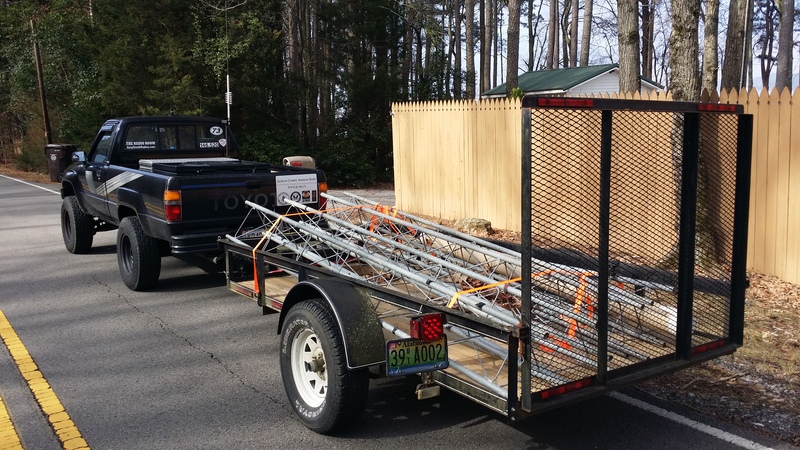 Bamboo slats (found at Home Depot) keeps the little folks off Rohn 25 very well, and is low cost. 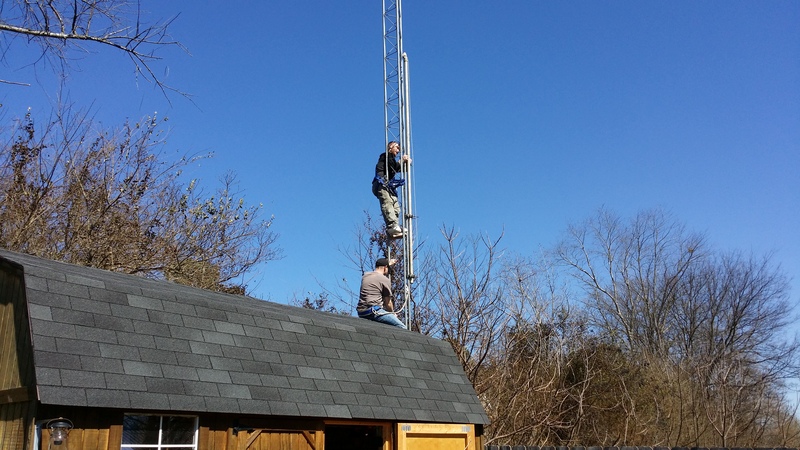 Thats a great suggestion! 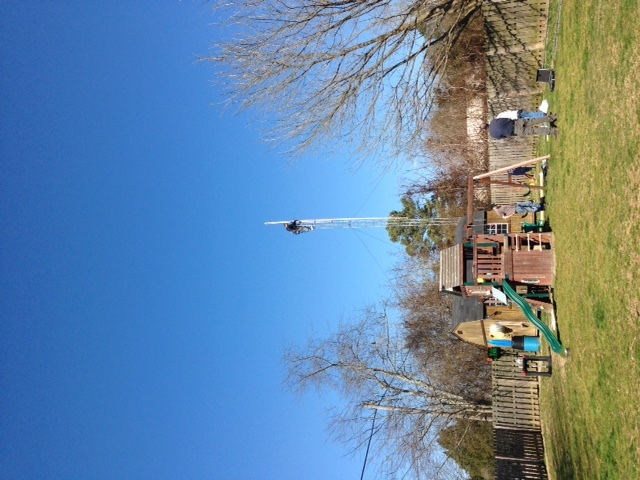 Even though the property owner’s daughter is old enough not to do anything like that I’ll bring it up with him anyway.